Sulagna Mondal’s review of Why Should I Love You...??? Sulagna Mondal's Reviews > Why Should I Love You...??? The author Kamal Paneru writes a very simple story, the one that is ubiquitous in Bollywood's movie plots. I found lots of grammatical errors and this can be attributed to either the author's mistakes or the editorial desk's negligence. Apart from grammatical errors, I found that the author has inserted fancy words in poorly formed sentences. There were prepositions missing from sentences and also few spelling mistakes could be spotted. The book can be read in one go. To me, the book was more or less likeable. The plot was simple and it had the potential to be presented in a better way. On the positive side, the book talks about innocent love, where a tortured girl finds solace in someone who is an outsider and this solace shifts into love. I liked the chemistry between Raunak and Juhi, but at times Juhi's character acted like an immature child which Raunak found beautiful but I did not. Overall it was a light read. 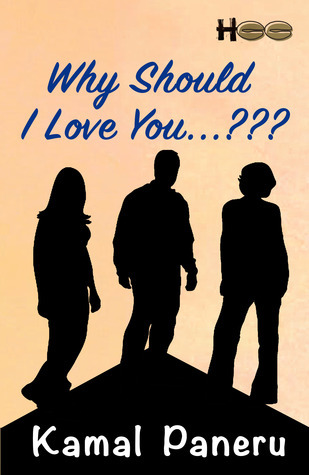 Sign into Goodreads to see if any of your friends have read Why Should I Love You...???. Thank you for such wonderful reviews.